I'm going to remain short on words again today, because there is still too much clutter in the charts to get a high-probability near-term read. 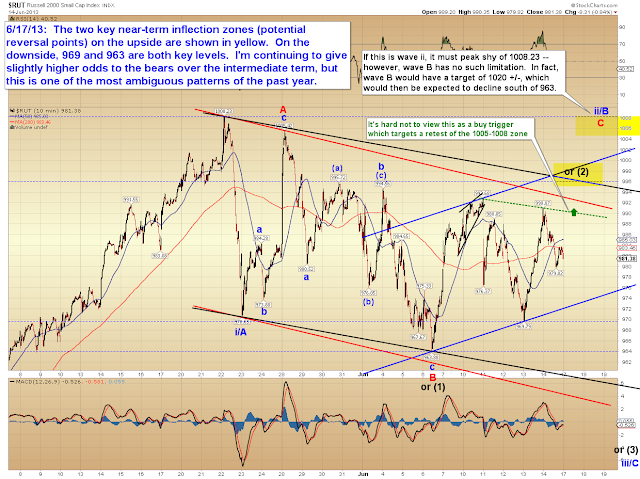 Intermediate term, I remain marginally in favor of the bears and do not believe the 1598 low will hold. 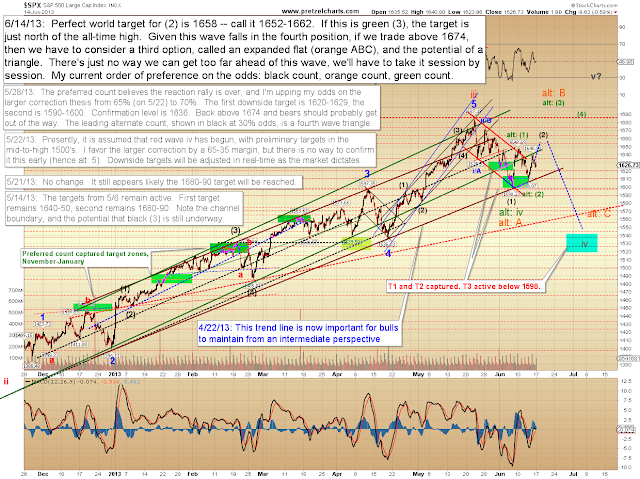 There's also no guarantee we reach the black (2) target, as there's potential of a nest of first and second waves lower. 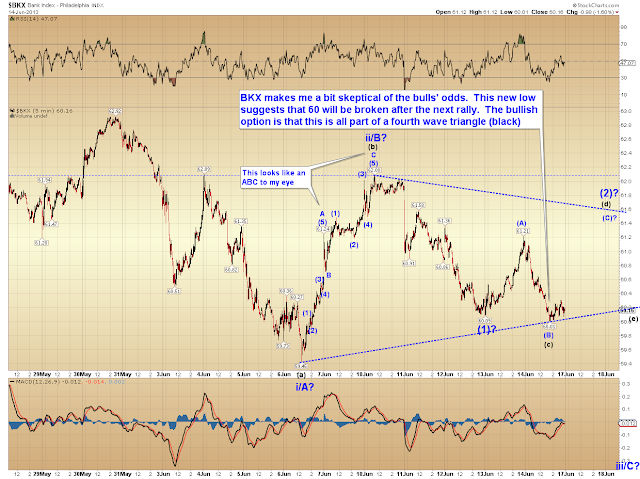 One of the charts that bothers me for the bulls -- barring the fourth wave triangle in black. 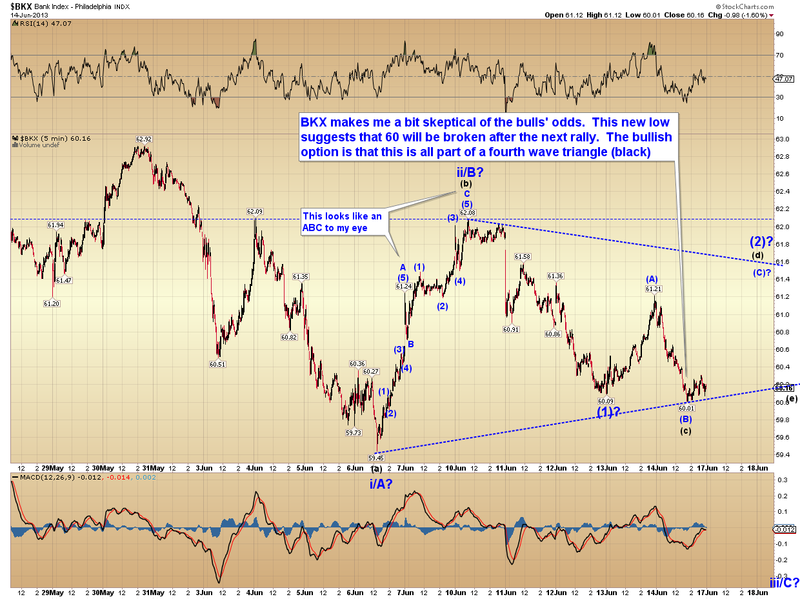 Above the ii/B high and the triangle becomes very viable. RUT is also a mess. 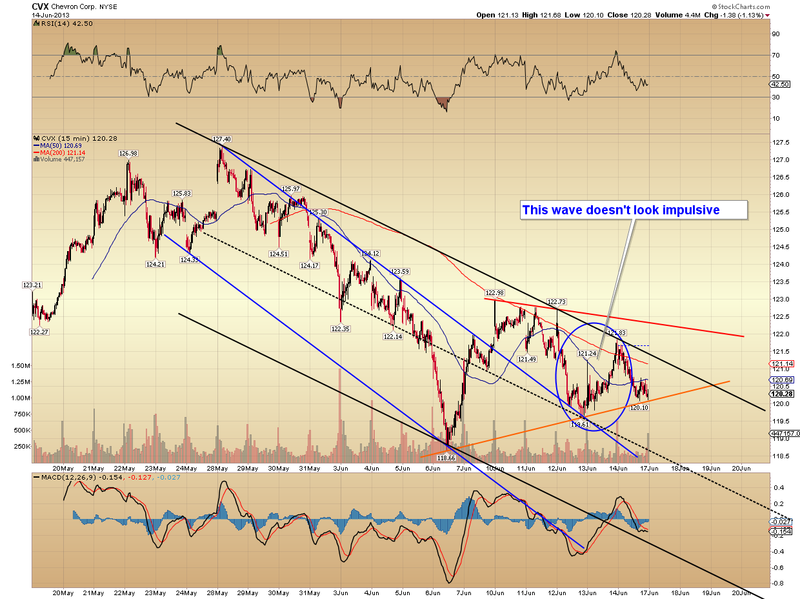 I'm having trouble buying into the bullish buy trigger... but I can't ignore it either. 992/993 is first resistance. 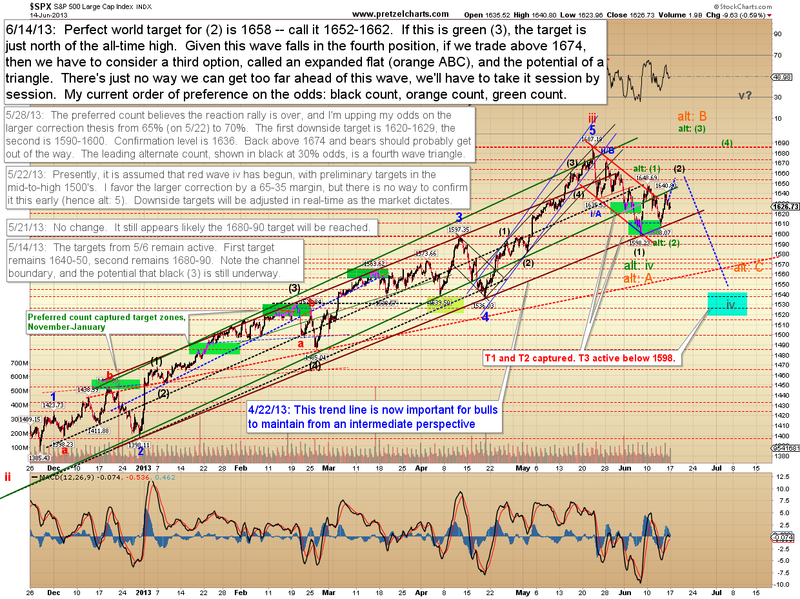 In conclusion, there are two places we find charts this confusing: during fourth waves, and at important tops. It remains to be seen which this is, and because of the sloppiness of the prior decline and the waves since, the near-term is exceptionally challenging to sort out. 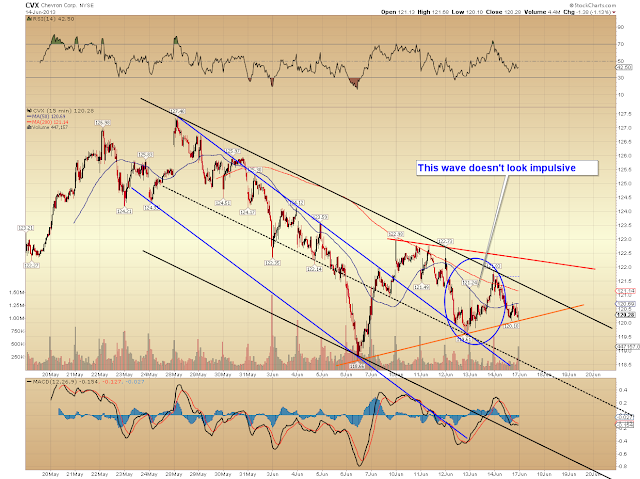 I remain slightly in favor of the bears on an intermediate basis. Trade safe.